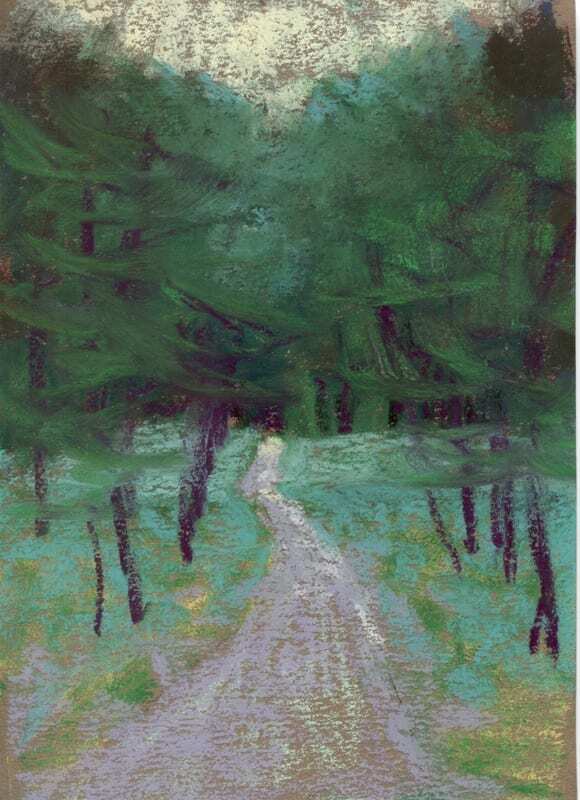 This is a small pastel painting, 7×5″ of a road and trees in the Manistee National Forest. Cool and Dark, 7×5″ pastel painting of a path through the Manistee National Forest. ©Marie Marfia. This is a pastel painting of a path leading to the woods. I like to walk in the forest every day and I’m lucky enough to live in the middle of the Manistee National Forest. My dogs are very appreciative as well! 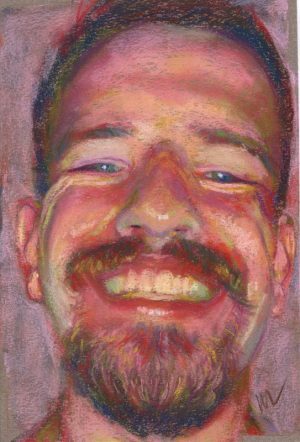 This 7×5″ painting ships unframed, with a double mat, either white or black, between two pieces of foam core. It’s the perfect size for a small space, perhaps in a cabin out in the woods or a cottage by a lake or an apartment for splash of color and a taste of the outdoors.